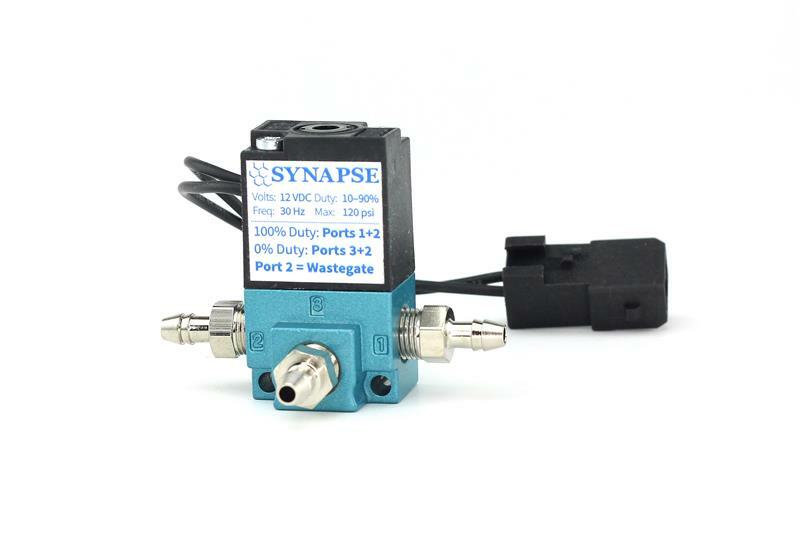 BCS001.3 - Synapse Boost Control Solenoid - Pann Auto Performance - San Diego largest aftermarket automotive performance parts - What do you drive? Now available is a plug-and-play replacement boost control solenoid for the Ecoboost Ford F150. 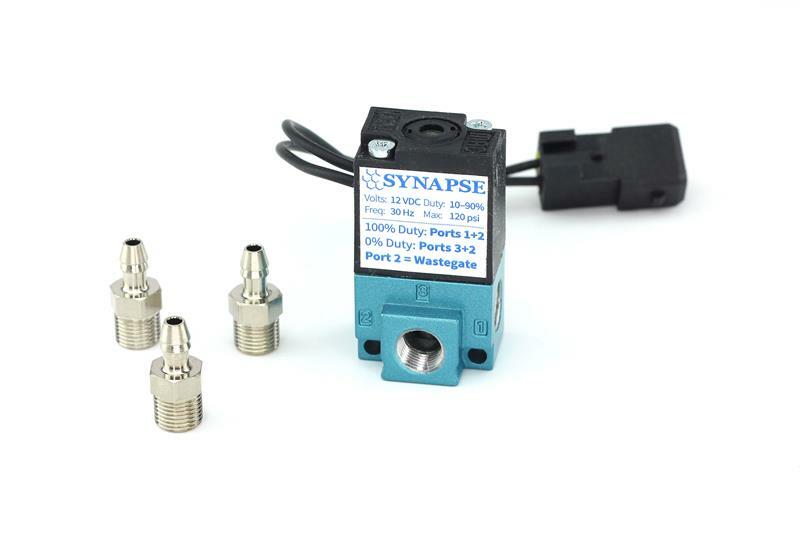 This kit replaces the slower responding, lower flow, stock boost control solenoid. This updated solenoid allows for better boost holding and overall system response. The solenoid specifications are designed to meet the specifications of the driver in the OEM ECU for current Amperage requirements. An incorrect solenoid specification can overheat the driver in the ECU and can lead to overheating and unrepairable driver failure in the ECU. Customers can expect better OEM boost control operation, reduced boost spiking and improved target boost control. Aftermarket tuned ECUs can expect improvement in control and boost holding capabilities.